Five friends go to a remote cabin in the woods. Bad things happen. If you think you know this story, think again. From fan favorites Joss Whedon and Drew Goddard comes THE CABIN IN THE WOODS, a mind blowing horror film that turns the genre inside out. Produced by Whedon and directed by Goddard from a script by both, the film stars Kristen Connolly, Chris Hemsworth, Anna Hutchison, Fran Kranz, Jesse Williams, Richard Jenkins and Bradley Whitford. Lionsgate presents a Mutant Enemy production. Download The Cabin In The Woods in Digital HD from the iTunes store. The Cabin In The Woods images are © Lionsgate. All Rights Reserved. 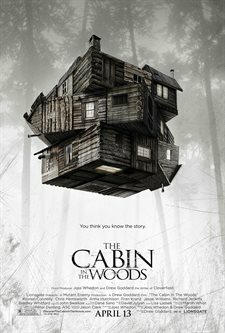 Much like homage to the classic Evil Dead, Cabin in the Woods is best explained as their own tagline describes: People go to a cabin in the woods. Bad things happen. But the movie is much more than that. Wish I could go into more detail, but this movie is a mix of several genres in perfect harmony. In this era of cookie cutter movies, where you can almost predict how the next scene will turn out, Cabin in the Woods is a refreshing change. Joss Whedon and Drew Goddard did a wonderful job on the screenplay, giving viewers a story that actually returns to the storytelling like Evil Dead with just the right amount of gore. The dialogue is well paced and fit together as expected. With this screenplay, Drew Goddard has done a wonderful job of combining CGI and traditional effects coupled with near-perfect timing from his actors. Many horror movies in the past used to be territory reserved for B-level actors, with at least one stereotypical screaming female (usually blond) included. While that character is here (Dana), played by Anna Hutchison (Go Girls, Power Ranges Jungle Fury), the story gives that character a little more depth. Anna Hutchison is able to deliver the role much better than you would think with subtle nuances that expand the action occurring in several scenes. Chris Hemsworth (Thor, The Avengers) plays Curt, who is Dana's boyfriend. Curt's character is usually considered to be an unintelligent jock, and while Chris Hemsworth has the body for that role, Curt is actually more of a scholar while being an athlete at the same time. Chris is able show both sides of that traditional coin throughout the movie, including how his character flows through the story. Kristen Connolly plays Jules, who is Dana's roommate and is dragged along to the cabin in an effort to cheer her up. She too delivers on her character's role as Jules goes through the movie. Jesse Williams (Grey's Anatomy) and Fran Kranz (Dollhouse) round out the five students that go to the Cabin. Jesse plays Holden, who was asked to come with in an attempt to hook up with Jules, and Fran plays Marty, who is a friend of Curt and Dana, and is the main comic relief for the film. As with the other three actors, both Jesse and Fran continue the sometimes subtle changes each character makes as the movie progresses. However, I believe the hidden stars of this film are Richard Jenkins (Six Feet Under) and Bradley Whitford (The West Wing). When you look at their respective careers, it seems that they are character actors, getting lots of small roles. Without going into too much detail, their characters in this film are an integral part to the story. Both Richard and Bradley deliver their characters with an enthusiasm that allows you to show the internal struggles their characters are going through as the movie progresses – especially considering how their characters interact with the story as a whole. 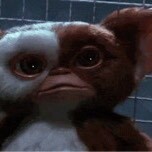 Once you see the movie, you'll understand. To summarize – Cabin in the Woods is an entertaining and engaging film that is more than homage to Evil Dead. It is not intentionally funny like the sequels to Evil Dead became but it is not devoid of humor. Go out and see it – you won't be disappointed, especially if you liked Evil Dead.